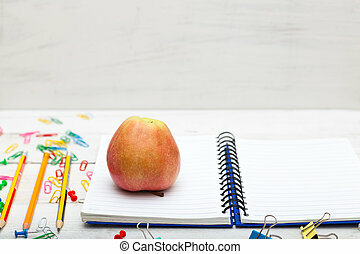 Apple and school supplies on a white background. 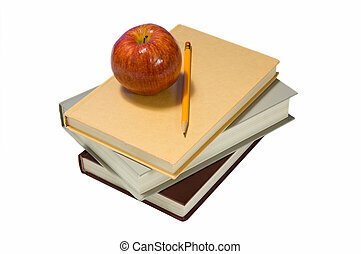 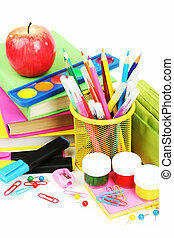 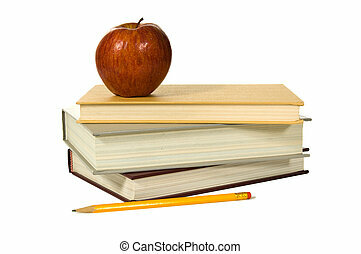 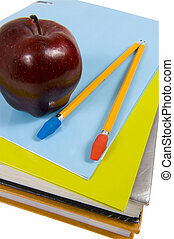 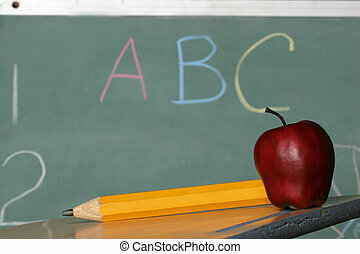 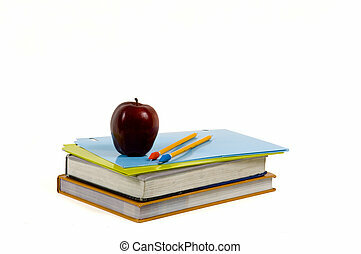 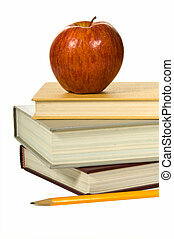 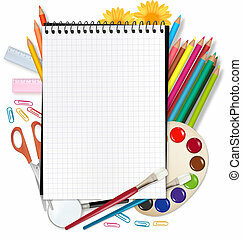 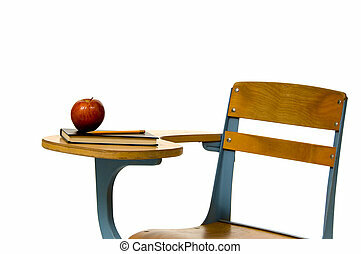 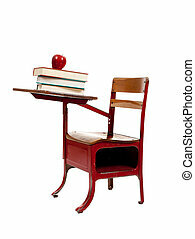 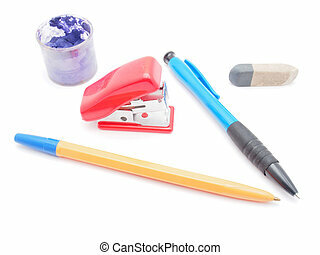 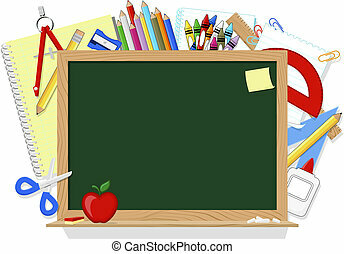 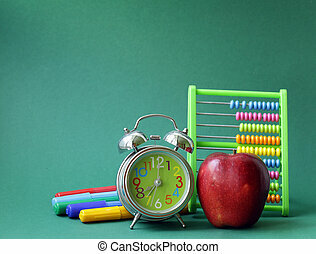 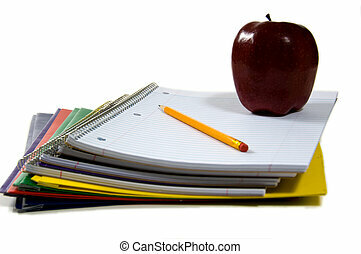 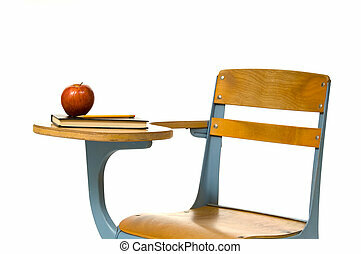 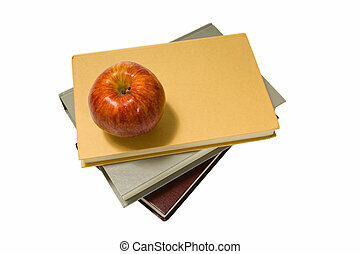 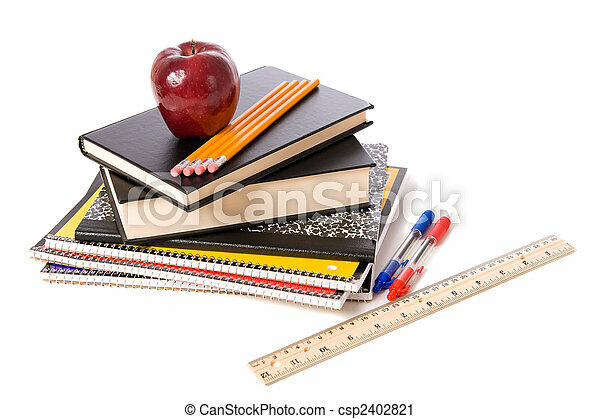 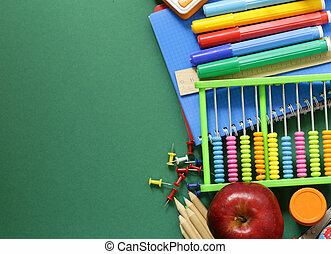 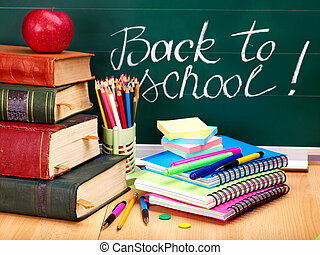 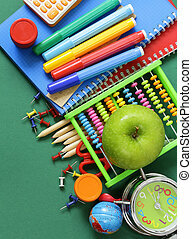 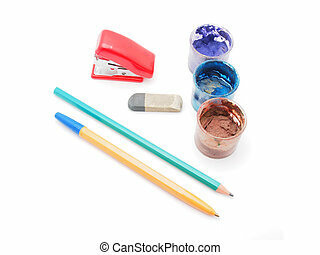 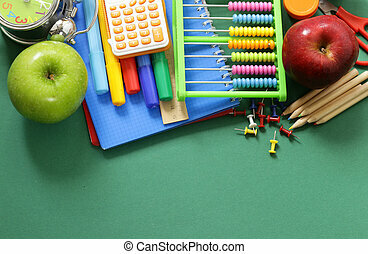 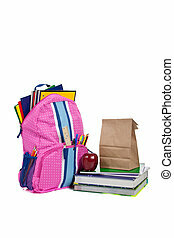 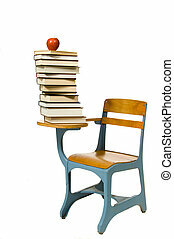 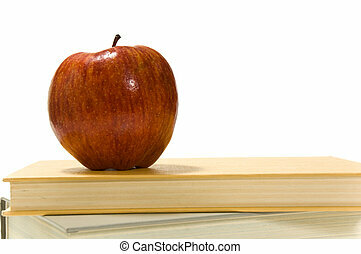 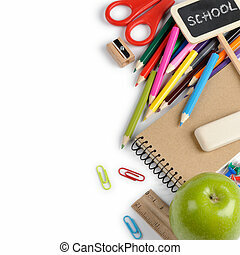 A group of assorted school supplies on a white background with books, pencils, a ruler, notebooks, and ann apple. 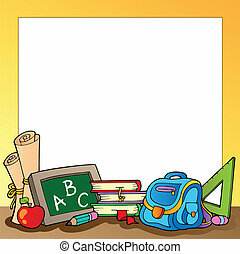 Frame with school supplies 1 - vector illustration. 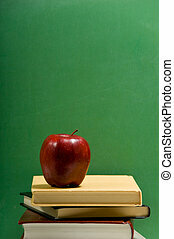 Books and blackboard. 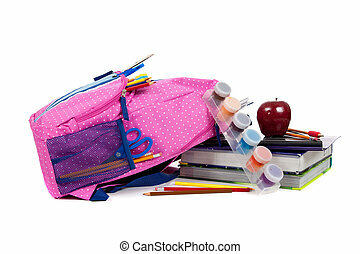 School supplies.. Back to school.